Way back in May 2015, The Australian ran a story about unsafe building materials coming in from overseas, and despite failing to comply with local standards, being used here. A week before Christmas in 2016, another story came out, this time in The Age exposing substandard and dangerous building materials across a range of developments across Victoria. Fast-forward to July 2017 and Australia (along with the rest of the world) witnessed the horrific end result of using substandard or incorrect building materials in the form of the charred shell of the Grenfell Tower complex in London. That is not to say that a number of Australian regulators and auditors have been asleep on the job when it comes to keeping tabs on suspect building products, in fact far from it. For example, in February 2016, just four months prior to the Grenfell tragedy, the Victorian Building Authority (VBA) completed a cladding audit – claimed to be the only comprehensive audit that’s been done in Australia that found that out of a total of 170 buildings surveyed, 85, or exactly half, had non-compliant cladding. At the same time, noted the VBA, the buildings’ non-compliance did not pose a risk to the occupants, with only one being the subject of an emergency order from the City of Port Phillip and evacuated. 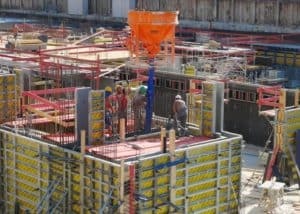 The VBA, along with the Melbourne City Council have said that there are still 41 structures under investigation, with 17 buildings still being worked on by the City of Melbourne. Meanwhile in NSW, there have been claims that up to 2500 buildings could be clad in potentially dangerous materials, although the real figure is unknown. Fair enough, but in reality, how big is the issue of dodgy or non-spec building materials across the whole of Australia? The answer to that question depends on who you talk to. Interviewed earlier this month about the issue by Architecture & Design, the NSW minister for planning and housing, Anthony Roberts, said when it came to building materials, there is no need for alarm and that his department was aware of the issue and was keeping an eye on developments. “My agency will monitor the investigation into the London fire to determine whether there is any relationship with the combustible cladding matter and whether any further action should be taken on this matter in NSW and at the Commonwealth level,” he said. “NSW has been active at the national level working with other States and Territories and the Australian Building Codes Board to develop proposals to strengthen regulation to minimise the risk of using building products that do not comply with required standards,” said Roberts. However, according to the Building Products Innovation Council and its head Elizabeth McIntyre, the authorities approach to building safety is in a state of disarray. “The latest knee-jerk political reaction in Australia to the Grenfell fire, is a call for a cladding audit of buildings across the country,” says McIntyre. “The time for action is now and…with calls for manslaughter charges to be brought against UK politicians at all levels of government who let their non-compliant building debacle take place, it is hard to know what further motivation our Australian politicians need, in order to protect the health and safety of the public and prevent properties from being put at risk,” she said. For its part, Victoria has engaged the services of former premier Ted Baillieu who will lead a new cladding task force assessing fire safety in buildings across the state. South Australia has said it will do the same and Queensland too has announced a state-wide audit of all buildings constructed between 1994 and 2004 that carry aluminium cladding. And it’s not just cladding we need to worry about. 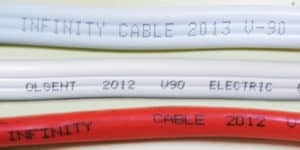 Just this year, the ACCC warned homeowners across Australia about faulty Infinity branded electrical cables installed in their homes that may have already started cracking, leading to fire dangers. 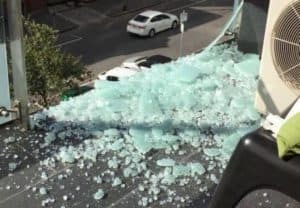 Then there is the recent spate of exploding glass panels raining glass shards on pedestrians down from new high rise residential builds in Melbourne’s inner-city suburb of Carlton. 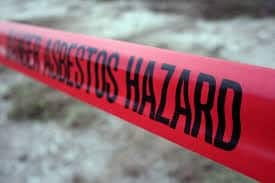 Historically speaking, these can all be added to the list of dangerous or sub-standard building materials in this country going back decades – beginning with the saga concerning asbestos, which was a standout disaster for which thousands in this country are still paying for with their health and in many cases, their lives. So, what about an actual figure or even a ballpark order of magnitude of unsuitable building materials that authorities could start to look at? Well, unfortunately no real hard or even potentially verifiable figures exist, however if we take just one guess by Strata Community Queensland, which is on record claiming that up to 50,000 units constructed over the past few years in Queensland alone may be suspect, and extrapolate that out nationally, then perhaps we can start gauging the enormity of this issue. This has been mirrored in the UK following the Grenfell tragedy, whereby at the time of writing, a total of 120 tower blocks have failed fire safety tests. 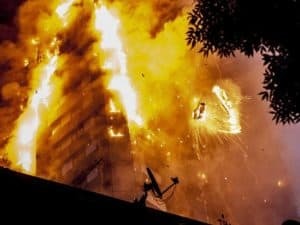 Unfortunately, for those builds that really are constructed of sub-spec materials, the only way we will find out is after something terrible happens, much like with the Grenfell disaster – a disaster that highlighted how a seemingly innocuous issue like complying to cladding standards can very quickly turn deadly.